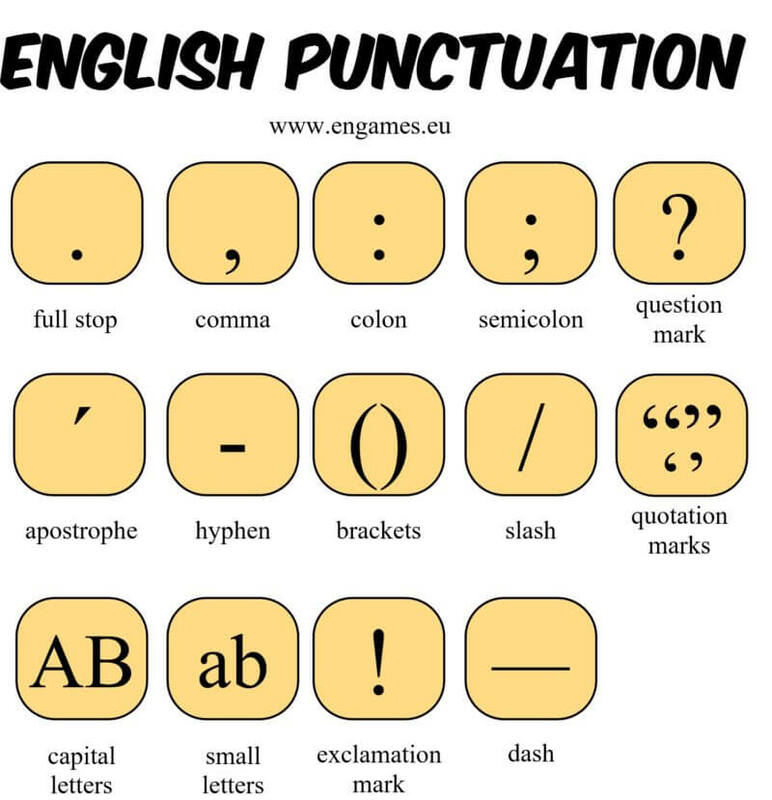 In this post, you can learn the words used for English punctuation. In this post, you can learn the words full stop, apostrophe, comma, hyphen, colon, dash, semicolon, brackets, question mark, slash, exclamation mark, quotation marks, capital letters, small letters, abbreviation and list. To help you learn the words, there is a revolutionary method called random repeat which helps you learn the words really fast and effectively. Then there are two crosswords, a wordsearch and a sudoku puzzles to help you practise the new words. I hope you will find this post really useful and you will learn the words for English punctuation here. Try our revolutionary method of learning vocabulary. It is called Random repeat. Click the PLAY button and listen and repeat the words. Once the screen changes its colour, click on the word which you see in the middle. For example, you see ” “, so you have to click on the words Quotation marks. In this way, you will learn the vocabulary really quickly and well. “Mum, I’m at home,” I said. – Quotation marks, comma, apostrophe, comma, full stop. If you prefer graphical presentation of new vocabulary, try the following infographic. In this part, you can practise all the new words in puzzles. Some people love sudoku. In this post, you can print out a sudoku where your task is to fill in the words apostrophe, slash, brackets, colon, full stop, hyphen, semicolon, comma and dash. In each line, column and small square each word can be used just once.